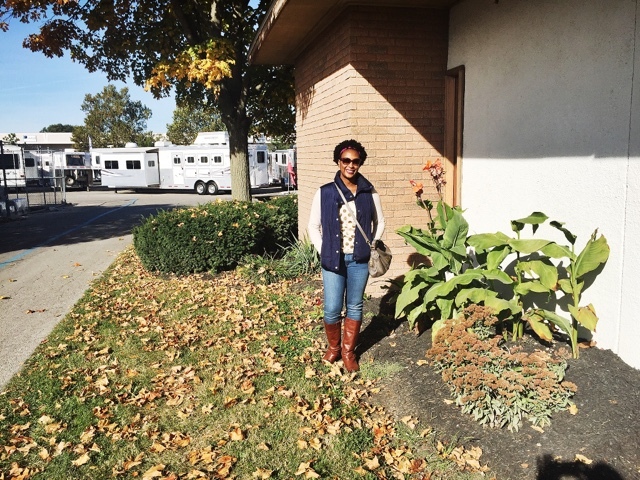 If you are like me you have been waiting for fall. It has been a slow process but I think it is finally here. What that means to me is puffy vest and boots. Who is with me here? I think that this is perfect weekend wear. But I have to confess I have like 10 puffy vest and I have been anxiously waiting to break them out. On the weekends I love to be casual unless I have an event to attend or a date with the boyfriend (lets face it sometimes you still need to get dolled up for them.) 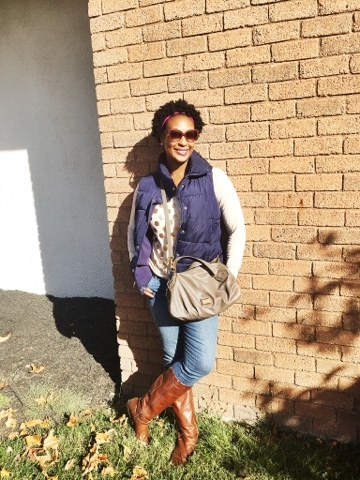 A vest and jeans are great for running errands and hanging out with family and friends. Honestly these puffy vest remind me of bonfires and smores, which I hope to indulge in a lot this year. I paired these with a thin polk-a-dot sweatshirt and a great bag to add a little style. Check it out and shop the look below. 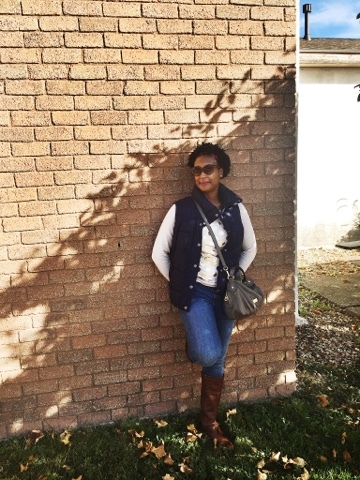 I found that the most inexpensive place to find these vest is Old Navy. 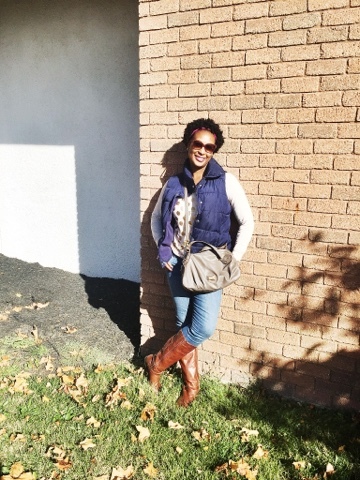 Adore the vest and boots! This is great weekend look, relaxed yet stylish. It's definitely Fall here in Ireland. 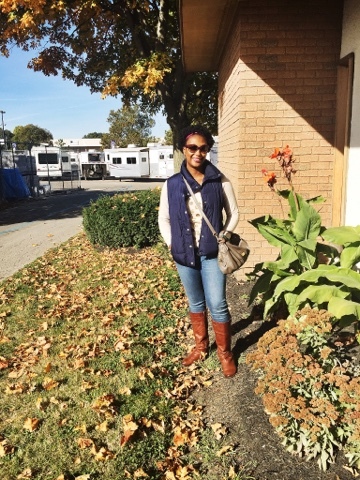 Puffy vests and boots are quintessential fall! I love it.